sorrows of his marriage. Six years later, Paul's death reunites his sons at Tealing, their idyllic childhood home, where Fenno, the eldest, faces a choice that puts him at the center of his family's future. A lovable, slightly repressed gay man, Fenno leads the life of an aloof expatriate in the West Village, running a shop filled with books and birdwatching gear. He believes himself safe from all emotional entanglements—until a worldly neighbor presents him with an extraordinary gift and a seductive photographer makes him an unwitting subject. Each man draws Fenno into territories of the heart he has never braved before, leading him toward an almost unbearable loss that will reveal to him the nature of love. Love in its limitless forms—between husband and wife, between lovers, between people and animals, between parents and children—is the force that moves these characters' lives, which collide again, in yet another June, over a Long Island dinner table. This time it is Fenno who meets and captivates Fern, the same woman who captivated his father in Greece ten years before. Now pregnant with a son of her own, Fern, like Fenno and Paul before him, must make peace with her past to embrace her future. 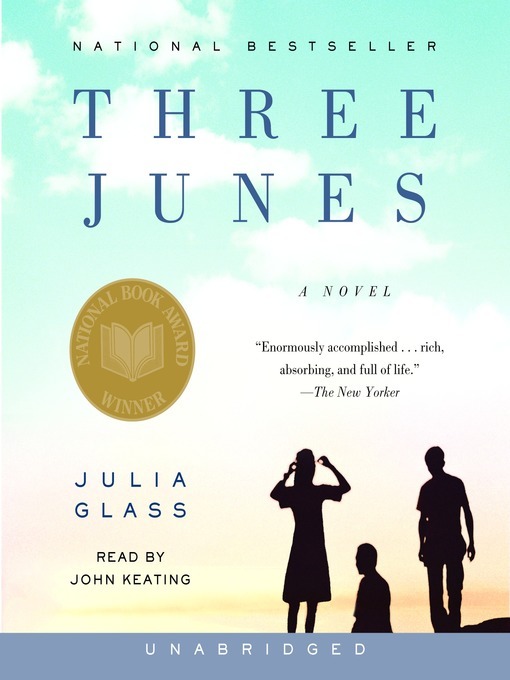 Elegantly detailed yet full of emotional suspense, often as comic as it is sad, Three Junes is a glorious triptych about how we learn to live, and live fully, beyond incurable grief and betrayals of the heart—how family ties, both those we're born into and those we make, can offer us redemption and joy.